A dark cloudy day sometimes brings the blues. There are days when the magical blue of the sky is concealed from view. Because of the times when there is a blanket of white fluffy smoke which covers the sky like a blanket. The blanket even works so as to conceal the sun from the sky. This blanket is called a stratus cloud. While nimbus clouds almost always instantly suggest rain or a heavy downpour, stratus clouds suggest a light drizzle or even light snowing. 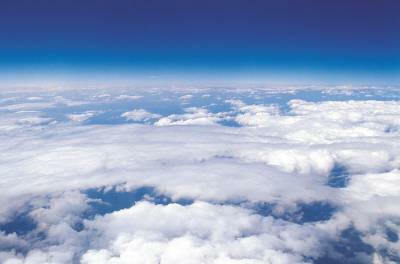 A stratus cloud is one which looks like a thin layer or a thin blanket, coming from the Latin word which means blanket. Stratus clouds form a thin, uniform base layer which stretches across the sky varying from shades of white to gray. If accompanied by nimbus clouds, nimbostratus clouds instsantly mean precipitation—either as rain, snow, hail or fleet. 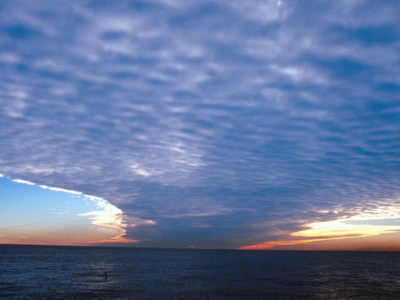 Nimbostratus clouds are rarely very visible types of stratus clouds which develop under nimbus clouds. Altostratus clouds are stratus clouds which form at a considerably high altitude, usually forming at 6,500-20,000 feet (1,981.2-6,096m). Cirrostratus clouds are hardly discernible clouds which are usually present when there are a huge amount of moisture in the higher altitudes in the atmosphere. They signal warm weather and there might be a slight chance of precipitation.